The University of Twente had it’s 50 year anniversary. 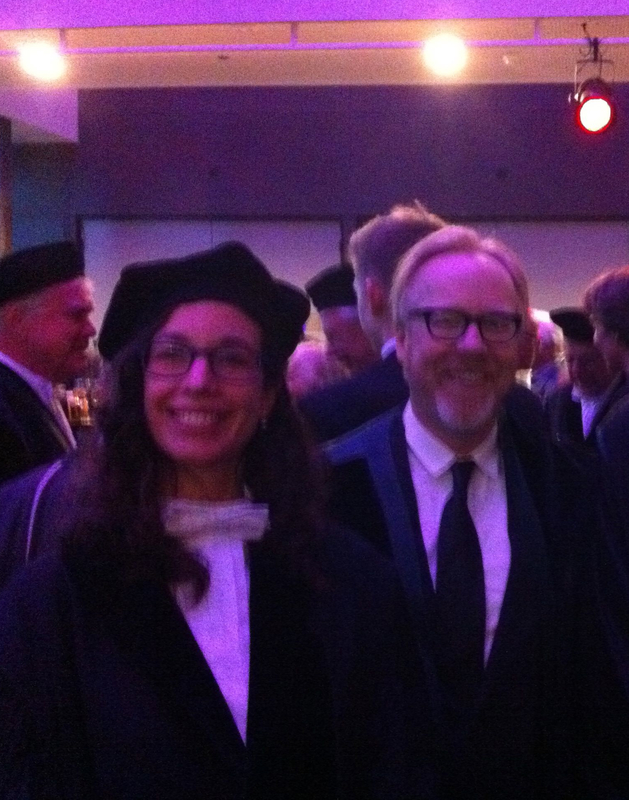 The mythbusters received a honorary degree for bringing science to a wide international audience. 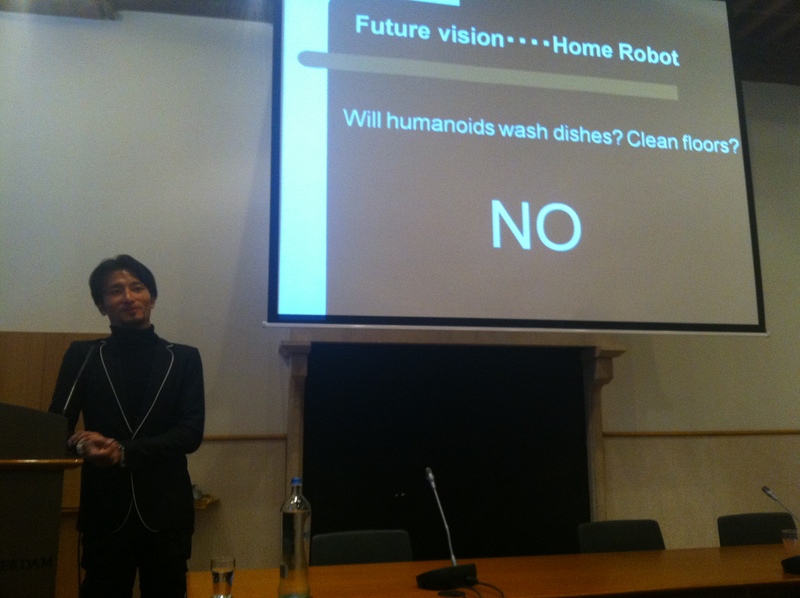 We hosted the Conference on Social Robotics in Amsterdam from 23-25 November! Jaap Ham form Eindhoven University, takayuki Kanda from ATR and myself were general chairs, Bilge Mutlu from Wisconsin Madison, and Christoph Bartneck from Christchurch uni NZ were program Chairs. The conference was wonderful and showed excellent PhD student work from around the globe. Robotgarage presented the neatest moving robot ever. The FROG project started! 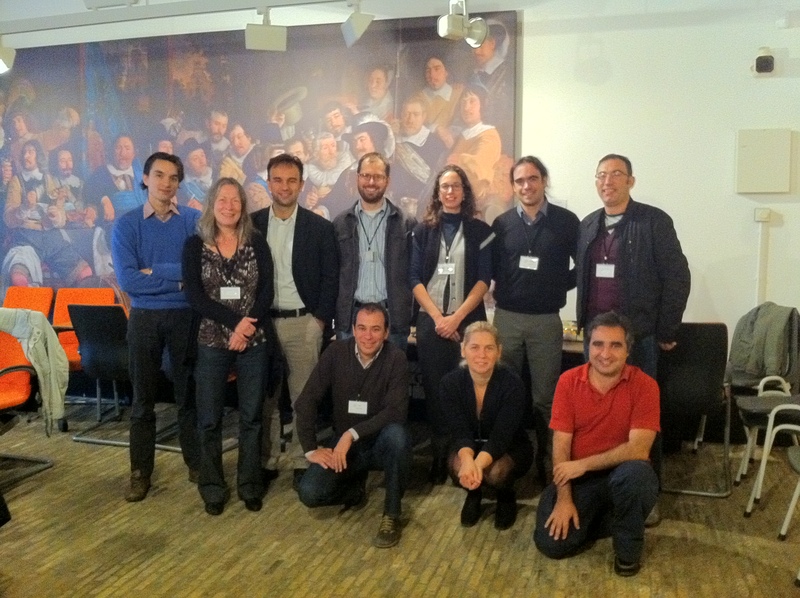 We have an excellent team with Imperial College, Ydreams, Idmind, UPO Spain and University of Amsterdam. We’ll be building a Fun Robotic Outdoor Guide for Outdoor Tourism! And it’s going to use augmented reality. Could it get any better?